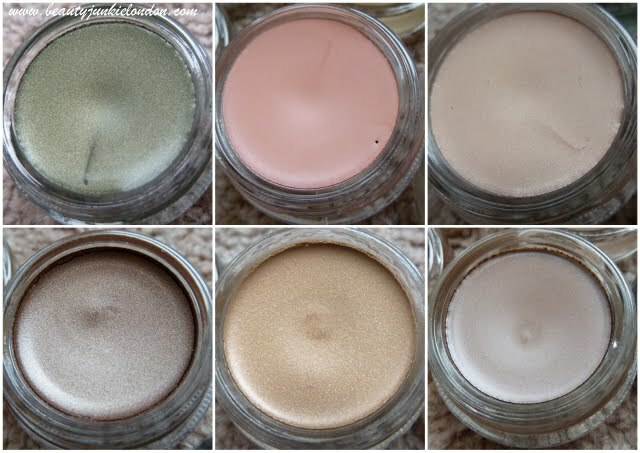 These gorgeous little pots aren’t called ‘stay in place’ shadows for fun. They really do. After applying the swatches to my hand I went to use a face-wipe to remove, and they wouldn’t budge. I’ve been wearing the shimmery Cafe Au Lait on a daily basis for the past week and I love how simple it is to do my eye make-up with these. It’s as simple as a quick swipe of shadow on each lid and I’m done. These pots are really creamy and pigmented. I really love the pretty Precious Jade, although I’m not sure it’s the best colour for my skin/hair. But I really like each of the other colours, they are so neutral and easy to wear. I love how long lasting they are, perfect for summer – when I just can’t be bothered with anything fussy. I can’t wait to try out Smokey Twilight for a simple smokey eye… ! 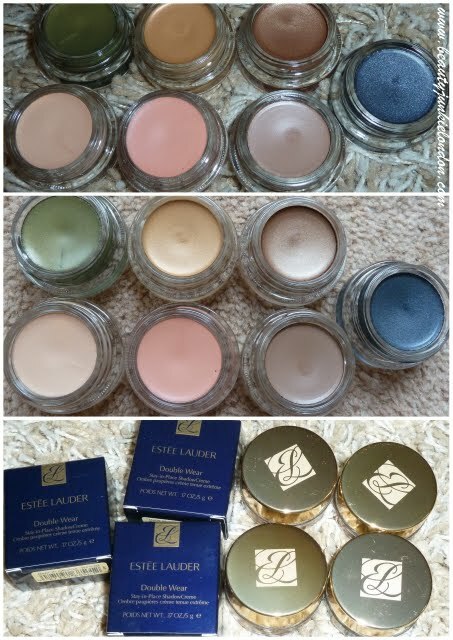 Double Wear Stay in Place Shadow Cream’s are out now and cost £16.50 from the Estee Lauder website. I was just eyeing these up a few weeks ago. I’ve never wore cream eye shadows alone but love using them as a base. The shades are so pretty I may just have to try a solo look though 😉 Thanks for the great swatches! Those are some really pretty neutral colors. I didn’t realize EL had these products! I’ll have to check them out!